Transmission: Automatic Color:White Interior Color: Black Average Vehicle Review: (4.389 reviews) Love the remote start, heated 6-way driver's seat, sun-roof, climate control, cruise control access on steering wheel, tinted glass, flat surface with back seat down and roof height - great for our tall dog, leather seats, 22 inch wheels -great ride, locking system in or out of car. Plus this car is light enough to tow 4 down behind our motor home. When I saw this car I thought it was great and I liked the fact that I hadn't seen them or heard of them. I test drove it and it felt nice so we bought it. Boy was that a mistake! When accelerating, especially to get on the parkway it doesn't move but the tachometer goes up to 5-6 in the beginning but now goes up to 7 after 2 years. The gas mileage for this small suv is aweful eco button on or not. The radio doesn't go loud enough for my liking and the speakers are aweful. No lock button on passenger side and no air vents in the back. Freeze in the front bc it's hot in the back. Now it shuts off on its own. P0011 issue. Not good! Didn't know this vehicle existed. Love it! I needed a vehicle that was easy to get in & out of without putting a strain on my knees & hips. This vehicle totally fit the bill! I tried all the other comparable vehicles & this one had it all at a very reasonable price. All the bells & whistles were a wonderful surprise. It has good get up & go & drives like a dream. Plenty of cargo space & leg room in both front & back seats. My son is 6'3" & has plenty of room. Grandson likes riding in it too. I'm so happy with this vehicle. 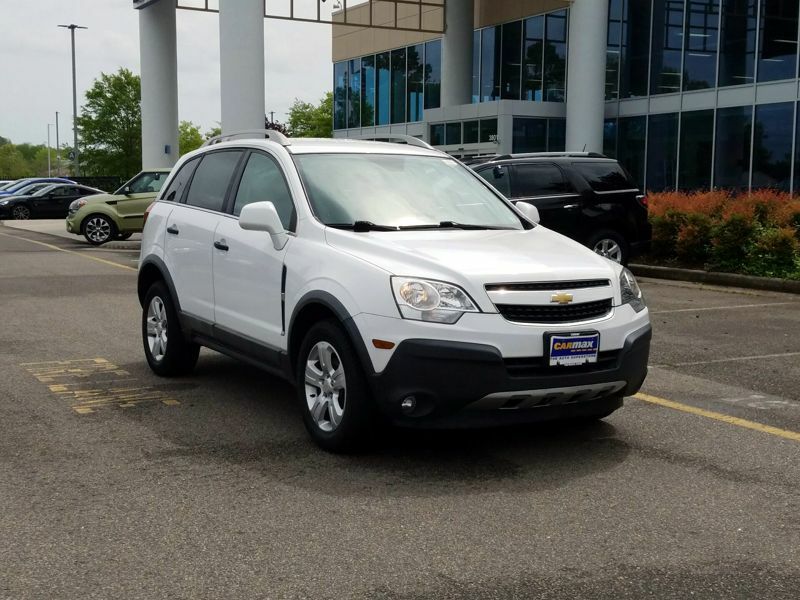 It was a great value, We originally looking at a CR-V or a Escape and stumbled upon this little gem. We couldn't get anywhere near the features of the LT model for the same price in Honda or Ford. The looks of the car may not be as edgy as the Ford Escape but the Captiva is a winner. If you’re on the search for an SUV that fits your active lifestyle, look no further. The Jeep Renegade is stylish and spacious. Explore features, key specs, photos, and rankings in this Jeep Renegade Review.